Description: Things are getting desperate for Maya and her friends. Hunted by the powerful St. Clouds and now a rival Cabal as well, they're quickly running out of places to hide. And with the whole world thinking they died in a helicopter crash, it's not like they can just go to the authorities for help. 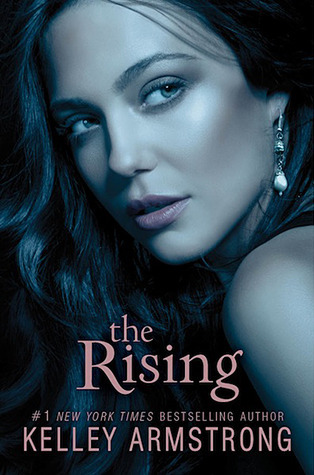 Old secrets are revealed and unexpected characters make a surprising return in this stunning conclusion to Kelley Armstrong's New York Times bestselling Darkness Rising trilogy. Loved how much dry humour was in this installment. Always used when you needed it most. I love all of Kelley's books, but I have to say this series has been my favorite of them all. Love how the author sums up what happened in the other two books in such a way that it gives a reminder to those who read them months before, yet not too much for those who maybe just finished them a couple of days ago. "Which was not to say louts are obviously American - only ones who didn't realize they couldn't buy beer in any store." "Wild animal attacks on humans are rare, but all of the predators in Canada, the cougar may be the one most likely to do it. Obviously, this guy never got the memo. After this, he'd probably be going to zoos, climbing the enclosure, saying. "Here watch this ... " Famous last words, as yet another unfit human is removed from the gene pool." Bitten is my favourite Kelley Armstrong book. My favorite Kelley Armstrong boook is Exit Strategy. My favorite would be The Awakening. My favorite book is the Reckoning. My favorite Kelley Armstrong book would have to be "The Awakening", the second book of the Darkest Powers series. Other authors would've gone straight to the action, but Kelley wonderfully develops all of her character in a perfect fashion. It's great. I liked The Summoning but really I love the whole series and every book of hers that I have read.